Be sure to discover WestShore Plaza and nearby International Plaza, which feature Nordstrom, JCPenny, Macy&apos;s and Old Navy, in addition to over 300 specialty stores, AMC 14 Theaters and Bay Street with over 15 restaurants. Pick up a must-have Tampa Bay souvenir - a hand-rolled cigar - in one of historic Ybor City&apos;s many cigars shops. Stroll down 7th Ave and grab a drink at one of the many bars and restaurants lining the strip. Enjoy music from a number of venues, a comedy club, movie theater, and much more. 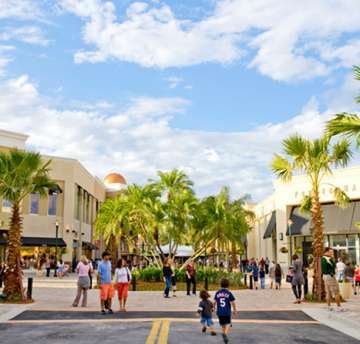 Hyde Park Village offers high-end retailers and boutique shopping in a quaint and historical neighborhood. Explore the boutiques in Palma Ceia, one of Tampa&apos;s most charming neighborhoods. The antique red brick roads shaded by enormous oaks make this the perfect place to shop! 01/01/2019 -12/31/2019	Free Visitor Savings Coupon Book filled with a variety of shopping and dining discounts at Tampa Bay's premier outdoor shopping destination with over 100 stores and restaurants. Simply present your out-of-town driver's license or passport at the Guest Services Desk located in Center Court. Limit one per guest. While supplies last.